With Euphoria’s EOS just wrapping up, you can still find a range of styles from designers like Glam Affair. 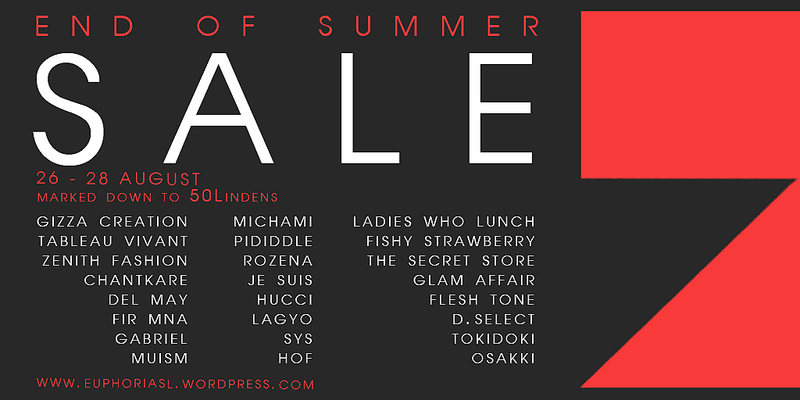 Today is the last day to pick up these great items from EUPHORIA’s End of the Summer sale. Here’s a couple of the select items put together to create a fabulous look. EUPHORIA will be closed for 1 day exclusively to members only on 25th August and open to public on 26th – 28th August. Brands with direct Teleport to be updated soon so stay tuned! Introducing “Gabriel”, a new designer to Euphoria. Along with a couple of items you can pick up from our Homme section. Euphoria welcomes Fleshtone to our ever growing list of top designers. These Fleshtone leggins are a Euphoria exclusive, so come check them out!